Today’s launch of Opera Mini for Android brings a user interface overhaul for a brand new look and ad-blocking additions. The new version lets you add personality to your browser with six fun color themes, and see just how many unwanted ads you’re blocking on your Android phone. If you’ve enabled our free built-in feature to block ads on Opera Mini for Android, you can probably tell that you’re surfing the internet much faster. 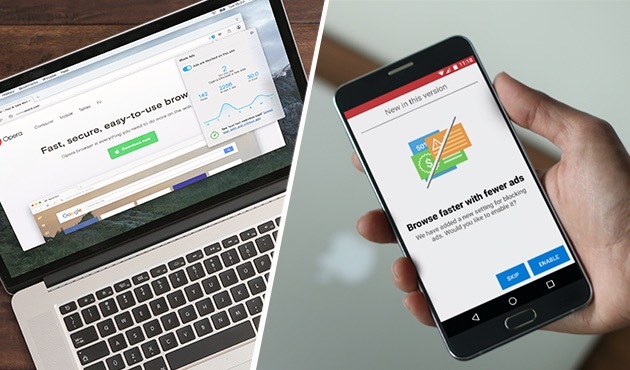 Our tests show that you load webpages 40% faster with Opera’s technology to block ads. Loading fewer ads means you’re saving on data, too. Now, there are two new features to show you just how hard the ad-blocking technology is working for you. When you enable ad blocker, a small shield icon appears above the “O” menu. As soon as the browser starts blocking ads on a webpage, this icon flashes the number of ads blocked. You can now check the total number of blocked ads since you enabled ad blocker on your Android phone. All you need to do is check the number under “Ad blocking” in the “O” menu. To activate ad blocking, tap the “O” menu and then “ad blocking”. You can also tap the “O” menu, go into “data savings” and toggle “block ads” to on. If you also want to block ads on Wi-Fi, toggle on “data savings on Wi-Fi”. 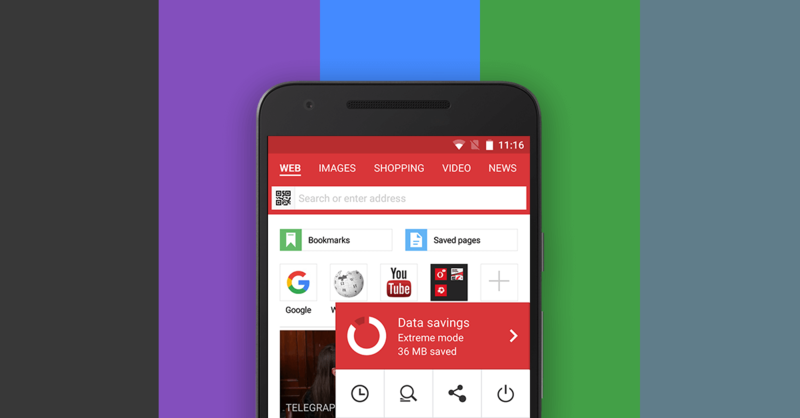 You can now also add a personal touch to Opera Mini by picking your preferred color scheme. The color of your choice will be visible over the top bar, “data savings” menu and tabs area background. Give your browser a makeover! When you install the new Opera Mini on your Android phone you will be prompted to choose your preferred color scheme. Once the app is installed, you can switch between color schemes easily. Go to “settings” under the “O” menu, tap “theme” and select a different color scheme from the palette. There’s a new revamped “data savings” summary that’s super easy to understand. Check it out from the “O” menu. The “Add to homescreen” feature is now live. You can add any site to your home screen. You will get a prompt to add Facebook. 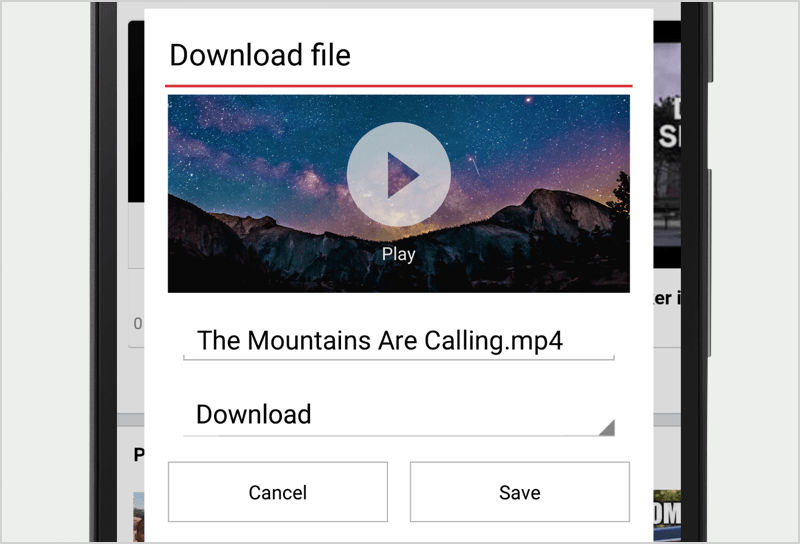 Video boost has been optimised and more videos can now be boosted on the new Opera Mini for Android. 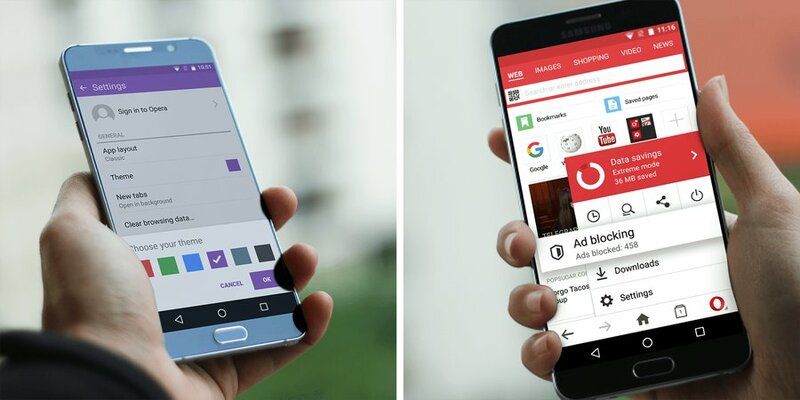 Download the new Opera Mini on your Android phone here and let us know what you think in the comments!